Every day from 17:00h to 19:00h. Saturday it will be from 14:00h-16:00h. 1 Class = 15 Euro, 5 Classes = 60 Euro. Contact Lessons Julian’s concept: Contact Improvisation is a partner dance practice that emerged from contemporary dance, martial art, and body/mind/awareness practices, and has been evolving in the last 40 years. Through listening to ourselves, our partners, and the possibilities of the present moment, we find ways to move together in an improvised way. The work is based in finding resources that will enrich our improvisation.These classes are for anyone interested in discovering new forms of self-expression in contact with others.You don t need previous experience neither to come in couples. Julian Marcelo Elizari Romeo was born in 1974 in Buenos Aires, Argentina. His current residence is Berlin, Germany. Julian began taking classes in dance from a young age. He practiced physical theatre with Pablo Bontä and took classes wiht traditional Tango dancers like Pepito Avellaneda, Pupi Castello, Tete, and others. At the age of 22, he received his degree from the Institute of National Education in Bs As, Argentina. He took classes learning the Martha Graham technique, contemporary dance, release, low flow and contact improvisation. His passion for dance and movement lead him to continue working and travelling in Europe as a dancer and Tango teacher. Following his degree he first came to Florence, Italy, where he studied at the Lilia Bertelli school of “Danza e movimento”. He was then hired as an actor and teacher of dance by the Isole theatre company (ricerca and formazione teatrale). From his experience in theatre and tango dance he discovered improvisation in movement. Following on from this he began to explore and work more with Contact Improvisation. He collaborated with the choreography for one project working with the Race of Rhythm company in London, England. 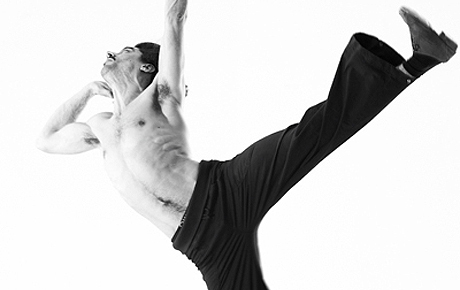 He has worked as a dancer and teacher giving workshops in Tango Argentino and Contact Improvisation at several European festivals of Dance including, Poland, UK, Germany and Italy. He worked as a dancer in the SKIN Interactive Performance Project in Warsaw, Poland with some of the directors from the Contact Improvisation festival in Freiburg, Germany. He was invited as a guest teacher at TanzFabrik to teach on their course: The Art of Turning. He took part in EIMCILA 2011 a meeting of contact improvisation teachers in BsAs, Argentina. Julian has been teaching Tango argentino for more then 10 years. Currently he teaches Tango and Contact Improvisation, often combining the two together at some contact improvisation jams in Berlin, Germany. He is constantly developing his practice as a professional dancer and teacher taking regular classes and participating in different festivals of dance.